Using stories from his own personal and professional experiences, Charles connects with his audience in a way that empowers them to face the challenges and change in their own lives with renewed confidence and a determination to succeed. People feel inspired by Charles message and relate to him in a very special way. His stories will captivate your audience, and are memorable for all the right reasons. His message is unforgettable. Combining his heartfelt story of overcoming a 25 year severe stuttering disability and winning against the odds, with his award winning success in the sales and service industry, corporate leadership, and later as an entrepreneur and professional speaker, you have a winning formula that will deliver results for your team and audience members. 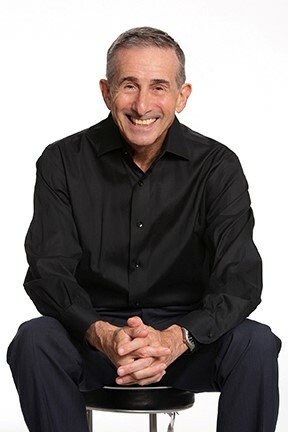 Charles Marcus is the author of the best-selling book, Success Is Not a Spectator Sport: How To Take Action and Achieve More, which is available internationally and has been translated into 27 languages. Charles is also a contributing author of Big Ideas for Growing Your Business, Live Your Dreams and 101 Great Ways to Improve Your Life with renowned experts such as Jim Rohn, Zig Ziglar, Brain Tracy and Denis Waitley. In addition, Charles motivational and inspirational story “Success in the Face of Adversity” appears in Life Lessons For Mastering the Law of Attraction – 7 Essential Ingredients For Living a Prosperous Life, from the New York Times Best Selling Chicken Soup for the Soul book series.